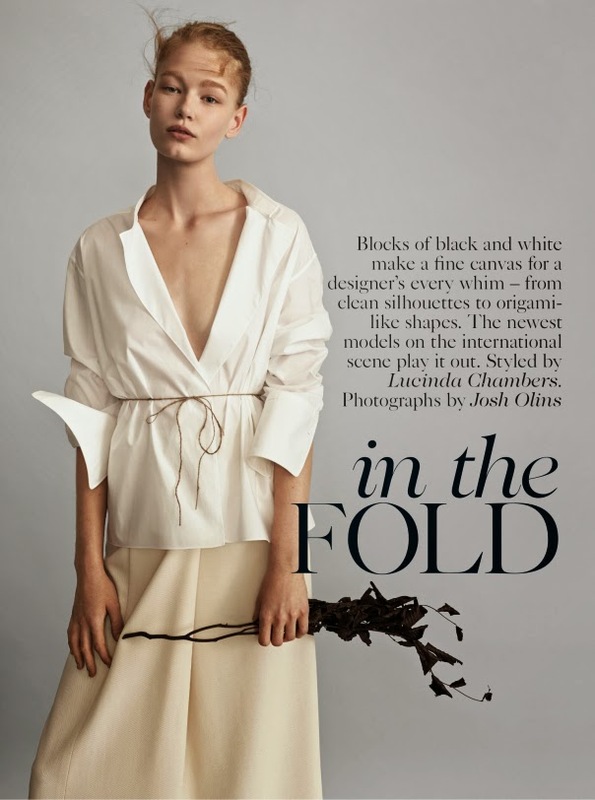 The Spring/Summer 2014 season's most promising runway rookies gather for British Vogue's 'In the Fold' editorial lensed by photographer Josh Olins. Amongst the mammoth cast of eclectic beauties are newcomers Julia Bergshoeff, Eva Berzina, Betty Adewole, Hollie-May Saker, Julie Hoomans, Ophélie Guillermand, Anna Ewers, Harleth Kuusik, Maja Salamon, Madison Leyes, Ola Rudnicka, Holly Rose Emery, Zlata Mangafic, and Elisabeth Erm. 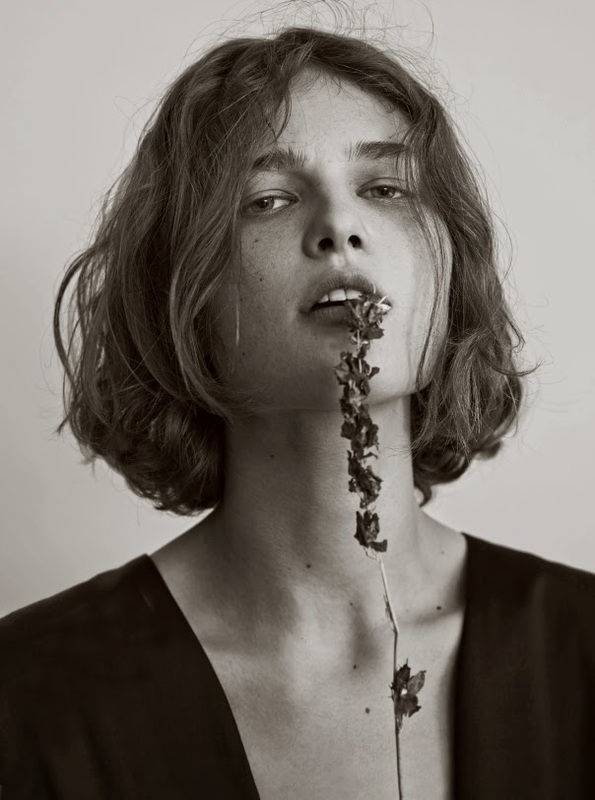 Stylist Lucinda Chambers embraces the natural beauty of the girls with barely there make-up and dishevelled hair while accessorised with an assortment of flora and fauna. 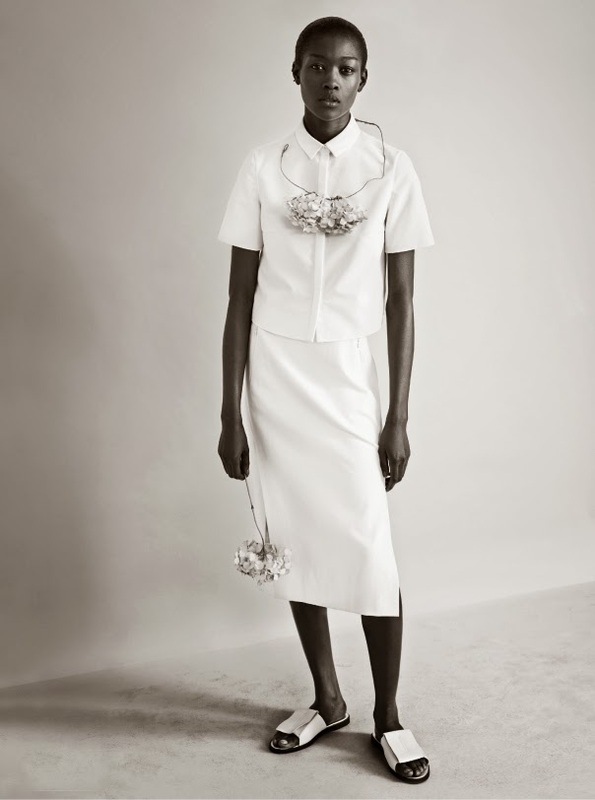 The breadth of modelling talent unearthed during the Spring/Summer 2014 collections was astounding with a new model army commanding the attention of casting directors and designers. 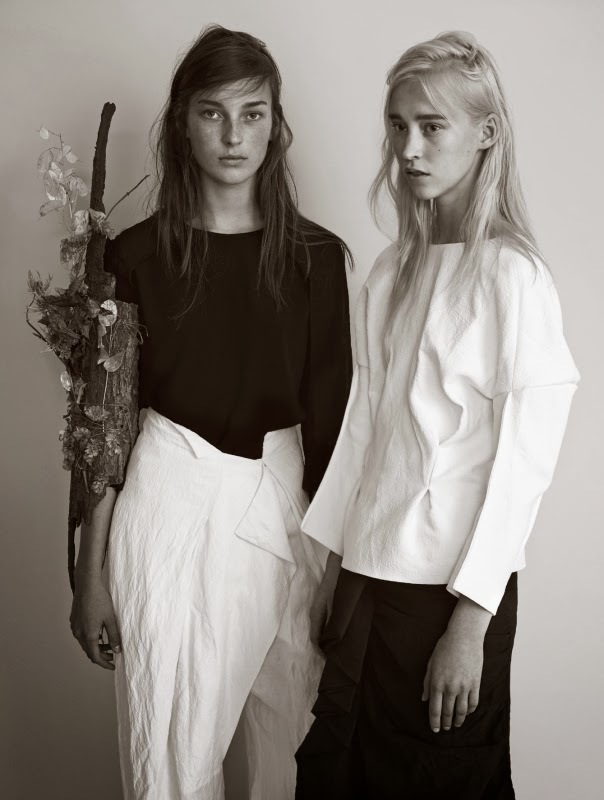 Sweet teens Julia Bergshoeff, Harleth Kuusik, and Holly Rose injected the runways with their youthful, raw beauty. 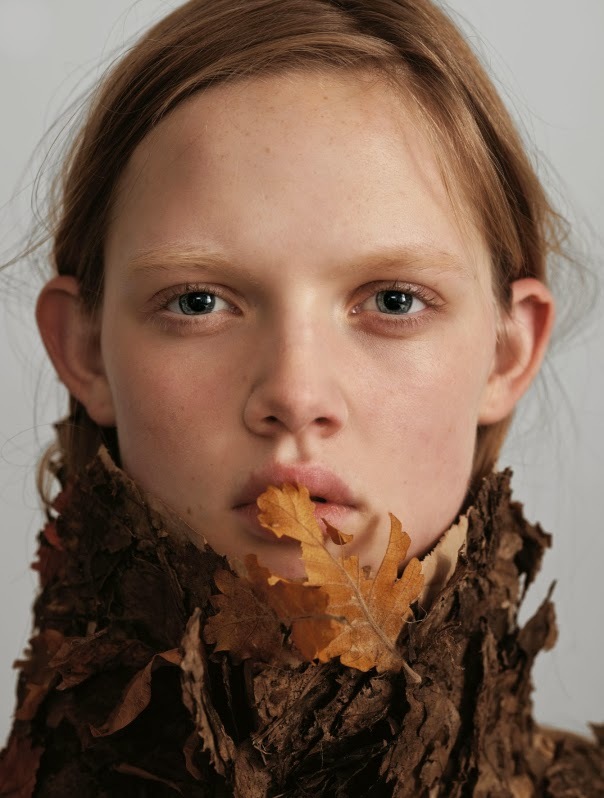 Personality also proved to be a major drawcard with the enigmatic presence of Hollie-May Saker, Betty Adewole, and the übercool Zlata Mangafic delighting showers and photographers both on and off the runway. Supermodels were at the forefront of the minds of fashion denizens especially following Interview Magazine's breathtaking September issue devoted to all things Super. Claudia Schiffer look-a-like Anna Ewers, and the jaw-droppingly beautiful Elisabeth Erm, Ophélie Guillermand, and Eva Berzina heralded a return to the in your face beauty of the early nineties supermodel era.